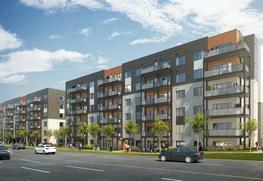 Daniels FirstHome Markham Sheppard Toronto is an upcoming housing and condo developmental project. The residential units comprises of state of the art designs and latest technology. 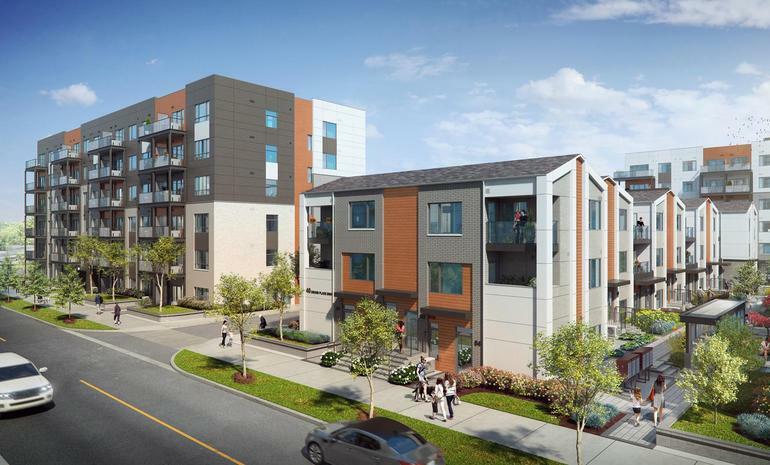 Daniels FirstHome Markham Sheppard Sheppard Avenue East is built to provide its residents comfortable living and upgraded lifestyle. Contemporary and rudimentary needs of the customer have been more than just well taken care of, with remarkable and excellent production material to provide with that extra elegance, long lasting years, and comfort. Daniels FirstHome Markham Sheppard is under construction and can be expected to be completed soon. The sales are to begin by summer of 2018. It offers about 328 units of 1, 2 and 3 BHK studio apartments. 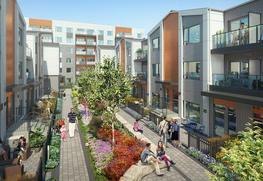 It is a Scandinavian-inspired boutique 6-storey condominium residences and town homes. Daniels FirstHome Markham Sheppard amenities are of world class quality. 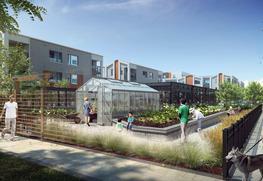 The amenities include Community gardens, greenhouse and children's play zone. Daniels FirstHome Markham Sheppard location is the best with well connected roads taking you to all parts of the city. It is near various important places like the airport, railway station, hospitals and schools. The North York General Hospital is only 11.2 Km away while the Westin Prince is 12.4 km from the project location. Toronto Buttonville Municipal Airport is 22.3 Km far and Agincourt Go railway station is 4.3 Km away. The Daniels Corporation builds homes with a pledge for creating top class communities in every sense of the word. They look beyond the bricks and cement, including social, cultural and economic infrastructures that will create a unique comfort of a dwelling place. This promise has been an unbroken deed of Daniels’ corporate philosophy for over 34 years. Daniels has finished more than 27,000 award-winning residential projects in master-planned, mixed-use communities, commercial, and retail spaces, and has earned its position as one of Canada’s largest and pre-eminent builder/developers. Company’s founder John H. Daniels is an eminent figure of the North American real estate industry. Well connected with the city’s important hubs.